I am 46 years old, living in Hod Hasharon, Israel, in central Israel 30 minutes north of Tel Aviv. I am married and the mother of a 12-year-old hearing daughter. I was born in Haifa, Israel, to a normal hearing family. I was born deaf with Usher Syndrome, when I was 9-months-old, my mother noticed that I did not hear when a strong wind slammed the door. Mom was shocked and I was quiet, and so mom became suspicious and tested me as she opened the door and slammed it hard. After she did it 3 times, and I did not respond, she knew I was deaf. She took me to doctor who confirmed that I was deaf. I graduated from high school with a diploma, never letting my Usher Syndrome interfere with my life and did many things. At age 20, I moved to the United States and attended Gallaudet University. A Deaf-blind organization at Gally kept sending me a letter to join, and I always threw it away. I was acting as normally and always went with normal friends. I graduated in 1995 from Gally with a BA in Psychology and moved to New York City, lived there for 5 years and worked as counselor for deaf clients with mental illness in Manhattan. It was hard working with them as I sometimes missed their earlier warning behaviors. It was hard work with my vision. After 5 years, I finished working with the deaf clients with mental illness and also felt I’d had enough living in the United States and decided to move back to Israel. At that time, I had a boyfriend, and he asked me to move to Maryland. In 2000, I moved back to Maryland, got married to him and had a baby girl. In 2005, I ended my marriage and decided to move back to Israel for a few years to be a little closer to my family. I also wanted my daughter to get more of a Jewish education and Jewish life style plus to be strong in the Hebrew language, and so my daughter made aliya to Israel. Once I moved back to Israel, I joined a deaf-blind organization called Beth David in Tel Aviv. I started working as counselor/advisor for deaf-blind clients helping them with their life struggling with their deafness/blindess. I worked during 8 years at a deaf school in Jerusalem counseling Deaf-blind clients. Most of them were Arabic clients who were deaf with Usher Syndrome. I also counseled some Jewish deaf-blind clients all over Israel. Today I am working once a week helping a family whose mother lost her vision. I’m helping them and the mother to deal with the difficulties.  I am involved in the board of deaf-blind in Beth David helping the group to have more meetings, and get together for trips and activities. In the past, I was chairperson of 3 groups, a singles group, Kodai group, and a women’s group, I planned a lot of activities, parties, etc. Then I asked to step down from being chairperson because I had met a new man who is my husband today, and at that time I wanted to focus on my relationship with him so had less time. I gave my responsibilities to another person to take over, and then all groups stopped. I always fight with my visual problems to be normal with everything. When I was young, I was not afraid and was brave and did everything. Today, as I am getting older, I have feelings of fear so prefer to have a person escorting me to help me, especially during nighttime. 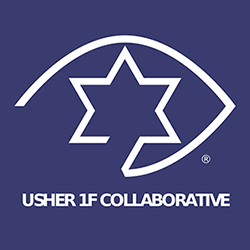 I am also active with a Deaf-blind organization in Maryland as every 2 years there is Jewish Deaf-blind conference that I continue flying there to attend. A few months ago, I learned there are various types of Usher Syndrome, and so I went to have a blood test and learned I have Usher Syndrome type 1F!